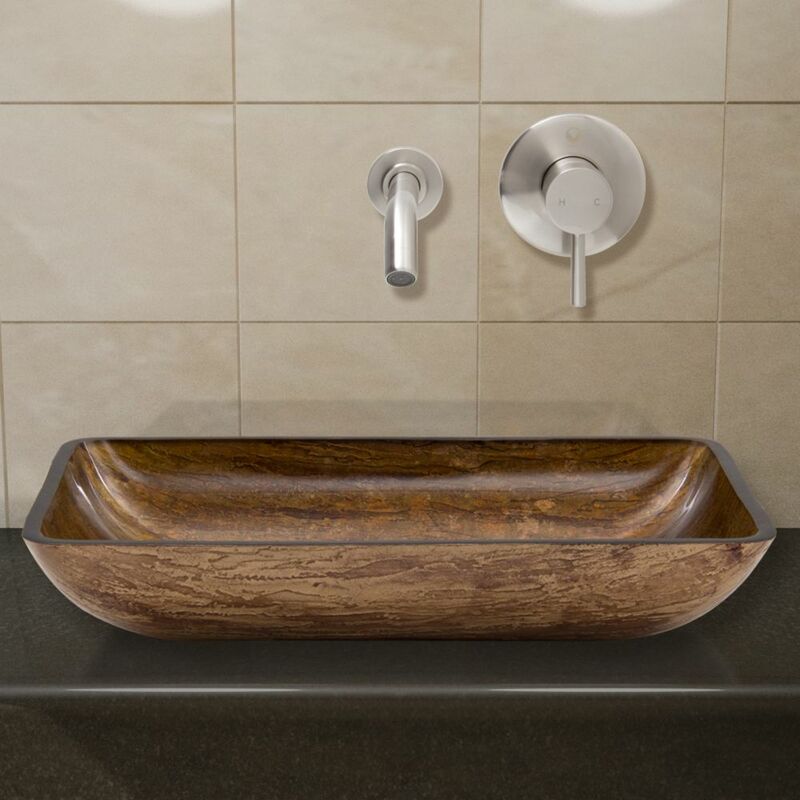 Glass Vessel Sink in Rectangular Amber Sunin with Wall-Mount Faucet in Brushed Nickel is rated 5.0 out of 5 by 1. Rated 5 out of 5 by TAMMY415 from Quality construction I am very happy with the quality of the product. I have not yet had it installed, if it functions as well as it looks I will be extremely pleased.